Alexander Osterwalder (Lausanne, Switzerland; alexosterwalder.com; businessmodelgeneration.com) is a speaker, workshop facilitator and strategy consultant to organizations in 20 countries on all continents. Besides his speaking engagements, Dr. Osterwalder focuses on executive training in the domain of business model development and innovation. He writes a popular blog on business model innovation at www.businessmodelalchemist.com. 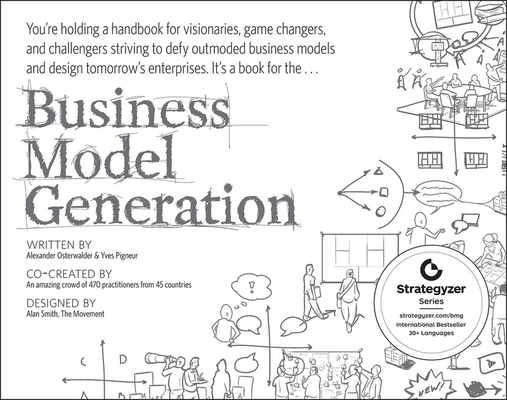 Organizations that use the business strategy described in Business Model Generation include 3M, Ericsson, IBM, Telenor, Capgemini, Deloitte, and many more. Yves Pigneur, PhD, (Lausanne, Switzerland; http: //hecshost.unil.ch/ypigneur/) is a professor of business and head of the Information Systems Institute of the University of Lausanne, Switzerland. He has held visiting professorships at Georgia State University in Atlanta, Hong Kong University of Science and Technology, and University of British Columbia in Vancouver. Dr. Pigneur is the chairperson of several conferences (IFIP, ISDSS, AIM). His research has been published in over fifty books, refereed journals and conference proceedings.